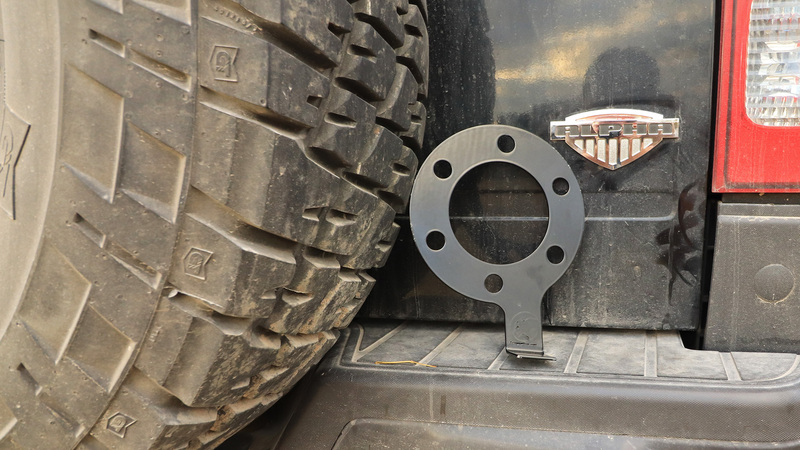 A classy, yet simple solution to mounting a backup camera on an H3 Hummer. With this mount, the camera hides in plain sight. Protected from the elements and also damage. All the while offering up the perfect view when backing up. It also removes the guesswork while squeezing into a small parking spot. Helps with backup to a tow hitch on the first try, instead of leaving everyone with the illusion that it’s our first time behind the steering wheel. With the camera mount, it’s one less nuisance to deal with every time the H3 is driven. Making life… just a little bit easier. 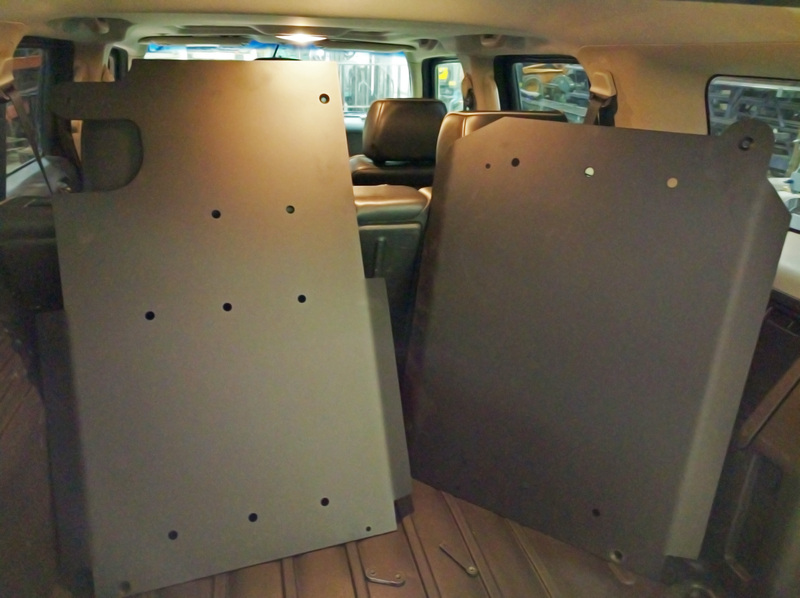 The H3 Hummer Backup Camera Mount couldn’t be easier to install. Just remove the rear tire, place the bracket on there and reinstall the spare tire. However, I recommend making some fine tune adjustments before the final tightening by sliding it into the desired position. 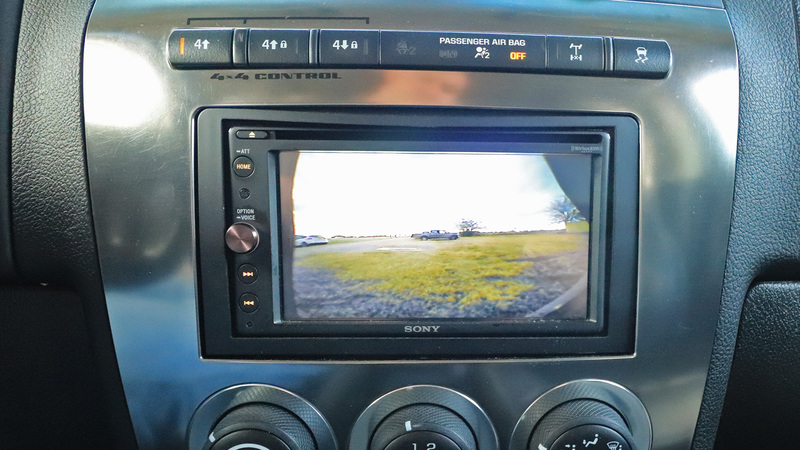 Currently, I have the Pioneer NDBC8 Universal CMOS Surface Mount Backup Camera hidden inside my spare tire. When I was choosing a backup camera, I was focused on having an amazing nighttime vision. The Pioneer NDBC8 camera’s ability to see in the dark with such clarity is why I choose it. I currently have the Sony XAV-AX200 radio installed in my H3 because I had to have Android Auto. Although, the Sony XAV-AX1000 is just fine too and both of those radios also have Apple Carplay.